With professional insight and instruction by native Czech professors and business professionals, the Central and Eastern European Studies Program, taught in English, reviews the past and investigates the present and future of the developing economies, societies, politics, and languages of Central and Eastern Europe. Depending on class schedules you may also have the opportunity to register in regular University courses taught in English (from fields such as economics, finance, marketing, trade, etc.) 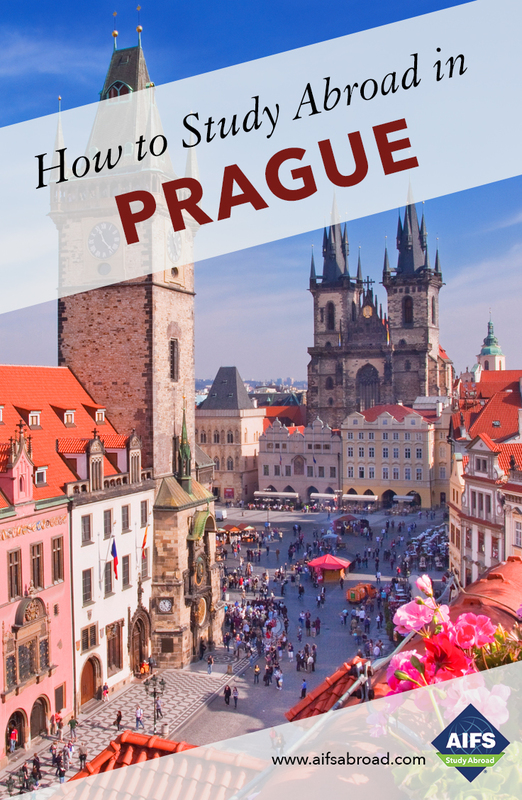 allowing you to immerse yourself in the community of Czech students at the University of Economics as well as improving your general academic background. Each CESP course is 45 contacts hours and carries a recommended 3 credits. Students can take up to 4 courses. The AIFS Office is right in the heart of the city in one of the oldest parts of Prague conveniently located within walking distance of many shops and cultural sites. There is a student center and a computer lab in the office, with PCs for college work or leisure. Free printing is also available. Staff are always there to help with any issues that might arise. The University of Economics, Prague (VŠE) is the largest public university of economics in the Czech Republic. The University celebrated its 60th anniversary in 2013. Currently, there are almost 20,000 students at VŠE. The University is highly respected both in the Czech Republic and abroad. VŠE is ranked by the Financial Times annually and has been appraised for several years by the Eduniversal Ranking project as one of the best business schools in Central and Eastern Europe. Many significant Czech and foreign economists have obtained the University’s honoris causa title; these include, for instance, the Nobel Prize winners Prof. Robert A. Mundell, Prof. Milton Friedman, and Prof. Gary S. Becker. The classes taught at VŠE are provided by more than 700 qualified academics and business experts. VŠE provides its students with a high-quality study environment. The University library contains more than 430,000 books and 330 journals and provides access to numerous electronic databases with e-journals and periodicals on a broad range of topics. Students may use hundreds of computer stations on campus, a wireless network, or the modern Integrated Study Information System. VŠE graduates find employment easily in the labor market. They get important positions in both the private and public sectors with a focus on various industry fields, the banking sector, accounting and auditing, sales, marketing, or information technologies.